When you are locked out of your home, office or vehicle, there is only one name you need to know: Round Rock Locksmith Pros! We are your top choice for local emergency locksmith services in Round Rock TX and surrounding areas. In addition to being a 24-hour locksmith, you can count on a response time that is 30 minutes or less and all of our technicians are licensed, bonded, and insured. Our emergency locksmiths will provide you with upfront pricing, and we offer full installation and repair services in a variety of areas. We will work with you to provide you with the expert advice that you are looking for and in choosing the best system based on your needs and budget. As a local locksmith, we work hard to make Round Rock a safer and more secure place to live and thrive in. When our technicians arrive on site, you can count on them to have all of the tools and equipment they need to get the job done for you as quickly as possible. 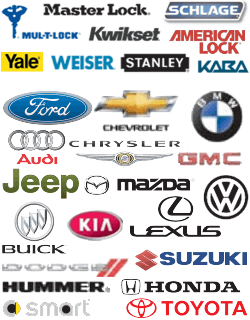 You will not need to wait around as we go back to our shop or have to track down a local dealership. Even in a great place like Round Rock TX, break-ins can occur causing damage to your property. When that happens, we can arrive on the scene to repair any lock related damage and return a semblance of safety and security to you as soon as possible. There are times when you get you locked out of your trunk or car for a variety of reasons. No matter what time or day or night that might be, we will arrive promptly on the scene and get you access to your vehicle once again. If you are locked out of your home, you can count on us to be right over and provide whatever service is necessary to get you in again. If your locks have been compromised in any way, we can work those to get those replaced as well. Being locked out of an office for any length of time can cost you money. We know this, and that is why our emergency locksmith services in Round Rock Texas will work to get your and your employees access as quickly as possible. If you have just purchased a new home, or you are renting an existing one, we can change all of the locks for you in order to give you extra security. A quicker alternative is a simple lock rekey procedure. If your locks have been compromised or your keys have been lost, but your locks are not damaged in any way, we can rekey them all to make sure that you are the only with access once again. Whether your keys were lost, stolen or broken, we can quickly provide you with replacement keys right away. We are your top choice for car key replacements, and house and office key duplications. When you need emergency repair services for your high-tech security systems, we’ve got you covered. We can fix biometric lock systems for your home, and provide fast repairs for your commercial property systems such as magnetic door locks, automatic door closers and more! Contact Round Rock Locksmith Pros Today! These are just a few of the services that our 24-hour emergency locksmith experts can provide you with. Contact us if you have any questions or you need to quickly request our emergency locksmith services. We operate with integrity and look forward to serving you. In any emergency situation, it is important to remember safety first! If you have been the victim of a crime or you feel you are in a dangerous situation, contact the Round Rock Police Department immediately. Once your safety is secured, call us and we will quickly take care of all your emergency lock and key problems. Emergency https://round-rock-locksmith.com/emergency/ 3.5/5 based upon 24 reviews.